I hate getting up early but sometimes it really is worth it. Today was a case in point. Swimming slowly in the silky soft sea, seeing the horizon getting pinker by the minute, and finally the moment when the sun popped up, in its dazzling glory, above the Imperial Hotel. We were in Torquay, by the Hindu Temples caves, which get miraculously lit up in the morning sunlight. 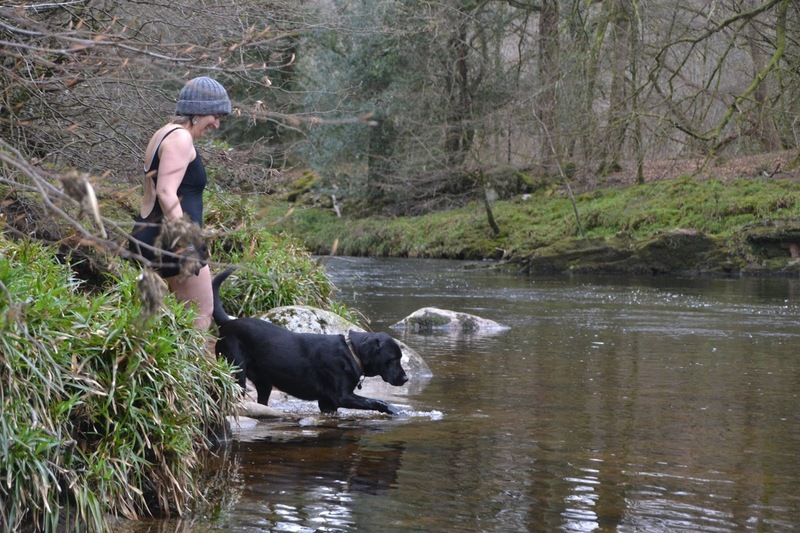 Jackie was swimming with a waterproof bag, in which she had secreted a breakfast 'starter' of cream cheese and smoked salmon, which we ate on a sun-drenched rock in front of the caves. We swam around for a while afterwards, revelling in the magical dawn, and then repaired for a cooked breakfast on the sandstone headland. It's quite an exciting time at the moment, as the new book I've written with my pal Matt Newbury is out. 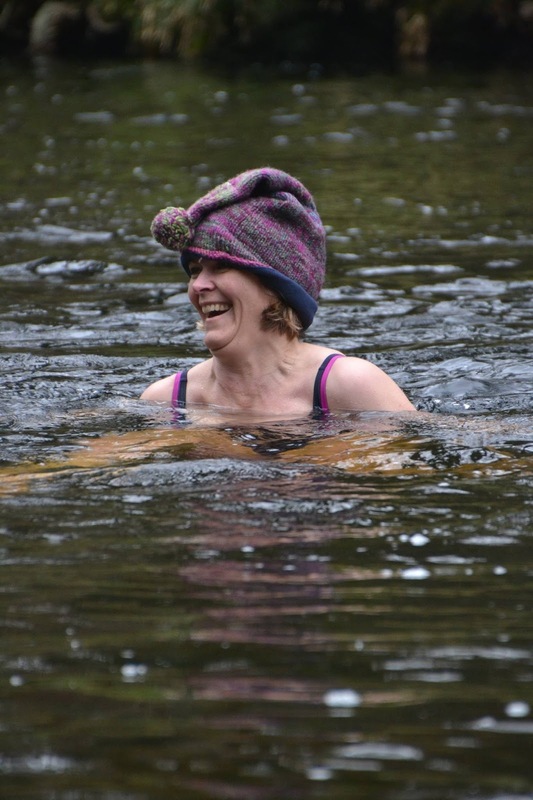 It's been a real collaboration, not just between Matt and me, but between all our wonderful wild swimming friends too, who have helped us with the research, tested out the walks and swims, taken photographs and generally been incredibly supportive. 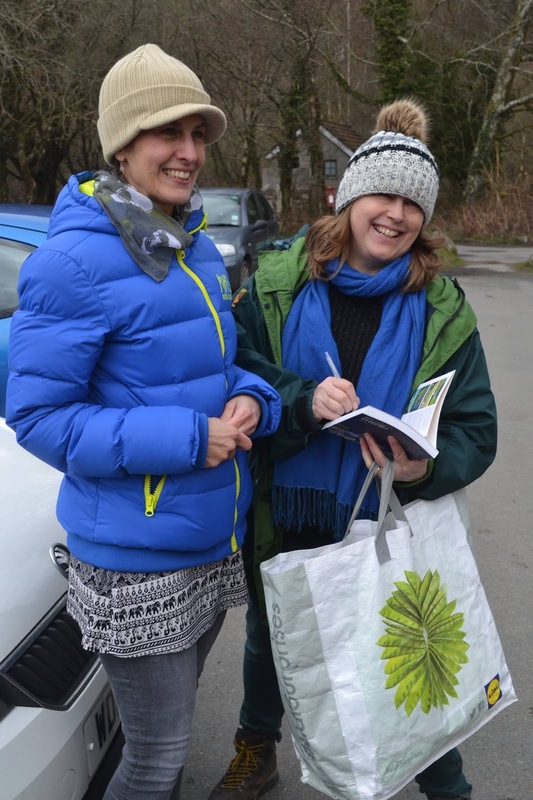 We got our hands on the books this week and so have been meeting up with people to, frankly, flog the books but also to go swimming! 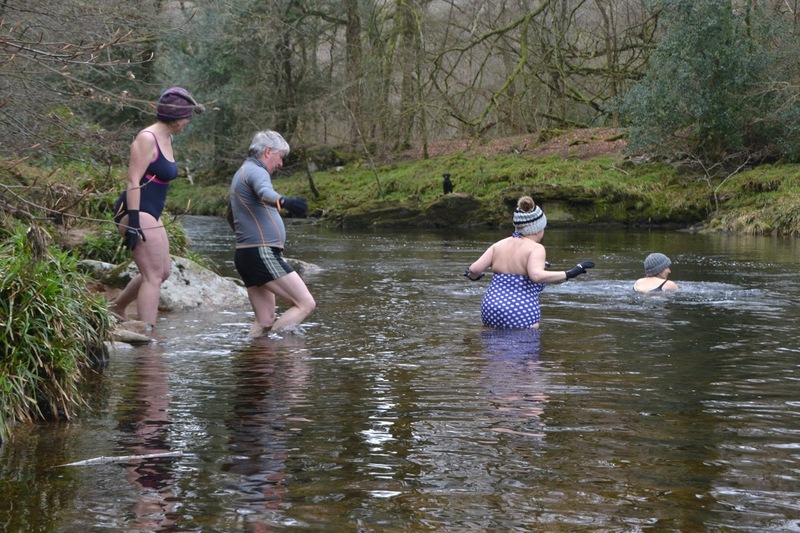 Today we met up at New Bridge where it was really good fun seeing everyone, chatting about the book, and then heading off for a swim in nearby Ladies Pool which was teeth-chatteringly cold at 7.5 degrees. Thank you to Avigayl Kahana for the photos.